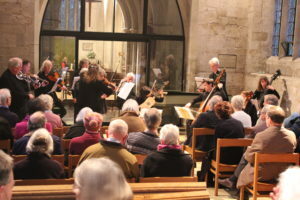 On the afternoon of Sunday 28th January 2018 more than seventy people packed into the intimate yet pleasantly resonant space that’s the St Andrew’s Chapel to hear music played by Salisbury Baroque. 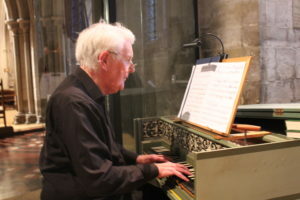 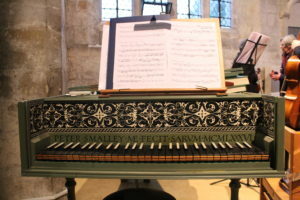 The period instrument ensemble played music by Handel, Telemann and Pepusch, with Angus Menzies introducing each item. 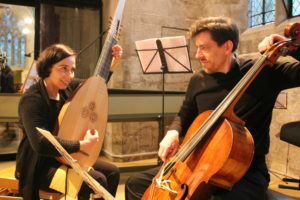 The instruments include familiar string instruments, bassoon, harpsichord and theorbo – played by Katarzyna Milek (pictured). 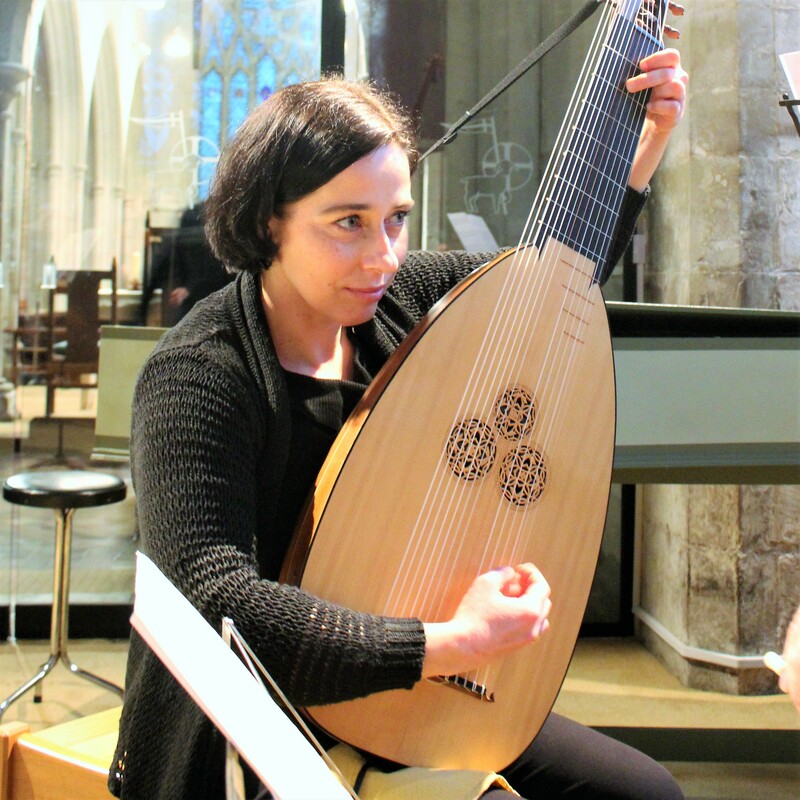 All are tuned to Baroque pitch – roughly a semitone lower than concert pitch. 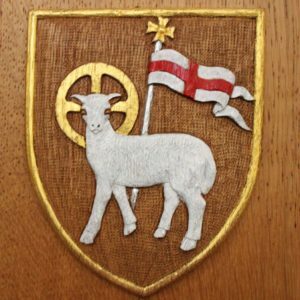 £316.51 was raised for the church’s Development Fund – to finance a number of schemes including improved heating in the nave.